A refreshing run of three games unbeaten was ended by last weekend's disappointing defeat at fellow strugglers Albion Sports. 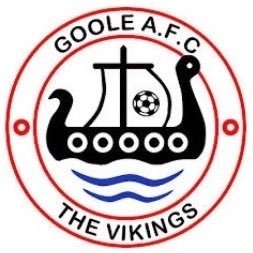 In this penultimate home match of the season, we look to bounce back against second-from-bottom Goole. Town were 4-1 winners at the Victoria Pleasure Ground in December, and another success would see us complete the double over a team for the first time this season. An improved showing on last weekend will be needed however against a side desperate for three points. Despite only one win from their last six, The Vikings still have a good chance of escaping the drop, and will view tomorrow's game as crucial in doing so. We have to go back six years for the last meeting here between the two sides, when both plied their trade in Evo-Stik League football. In a New Year's Day 2013 clash, the points were shared in a 0-0 draw. Hope to see you there, up the Miners! For anyone who can't make it, be sure to follow @thegarforthtown for the latest!